There's a major food recall pregnant women should know about: Starbucks sandwiches have been removed from shelves due to concerns over a listeria outbreak. There's a major food recall pregnant women should know about: Starbucks sandwiches have been removed from shelves in certain areas due to concerns over a listeria outbreak. According to Time, the six-ounce pre-packaged sausage, egg and cheese sandwiches were recalled because of listeria concerns. The sandwiches came from Progressive Gourmet Inc. and were sold in about 250 Starbucks locations in Arkansas, Texas and Oklahoma on March 3 and 4. Listeria can have serious consequences and is especially dangerous for pregnant women. In most people, listeriosis presents with headaches, nausea, vomiting and chills—but for pregnant women, the symptoms can be so much more serious. According to American Pregnancy, pregnant women are 20 percent more susceptible to listeriosis, which is the illness caused by the consumption of listeria. Listeriosis can lead to miscarriage, premature delivery, infection to the fetus and stillbirth. The questionable items have been pulled from shelves but if you've already purchased them, you can return them to the location where they were bought. This does not refer to the ready-to-eat sandwiches you'll find behind the counter at your local Starbucks—the recalled items are frozen and carry an expiration date of August 7, 2016. 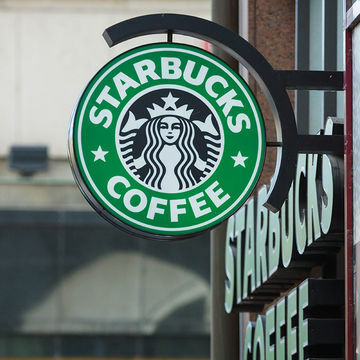 According to the FDA, the items were removed immediately after Starbucks was informed of the possible issue, which was identified during routine inspection of the processing facility—traces of listeria monocytogenes were found on a contact surface at the facility. So far no illnesses have been reported. If you've already consumed a sandwich that meets this description, it might be a good idea to speak with your doctor. If you have one on hand, return it as soon as possible and clean any surfaces it may have touched. You can call Starbucks on 1-800-224-7630 with any additional questions you have.